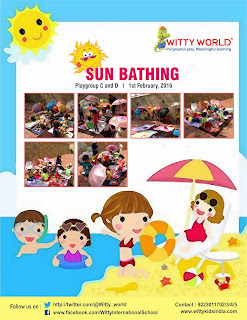 On the top of the World...: Celebration of Sun Bathing Activity by PG session at Witty World 15-16. 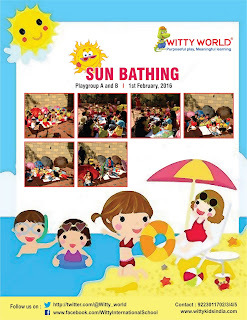 Celebration of Sun Bathing Activity by PG session at Witty World 15-16.
philosophy of “discovery with action” little Wittians of Playgroup enjoyed their Sun bathing Day. A simulated scenario was created in the school premises. 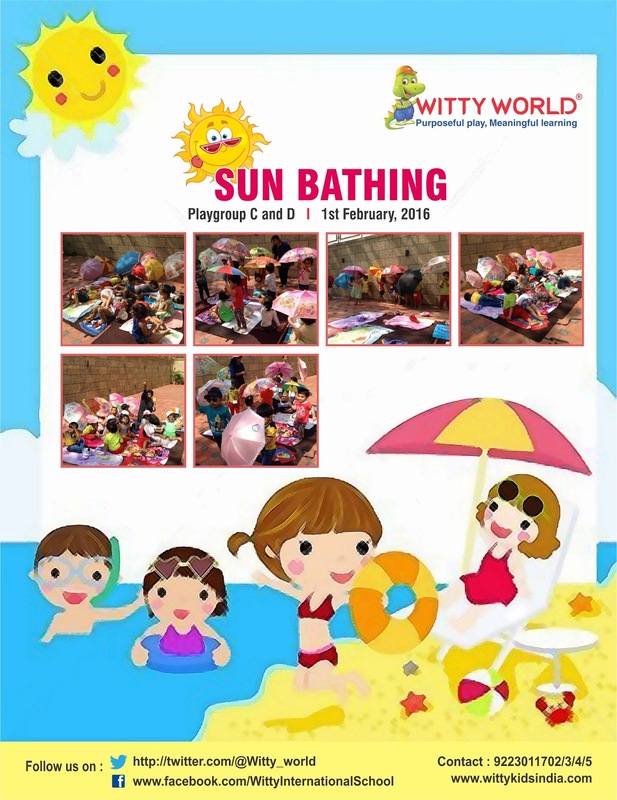 Children enjoyed lying down on mats under colourful umbrella, wearing sun glasses and hats, and relaxing as though near the beachside. Children and teachers sang related rhymes. The little ones immensely enjoyed this unique learning experience.